Data is changing the fight against corruption. Stories from Panama and Brazil illustrate how. In April 2016, the Panama Papers revealed the opaque dealings of offshore companies, trusts and foundations in tax havens used to hide the wealth of the global elite. Data analytics start-ups helped investigative journalists sift through more than 11.5 million documents to connect the dots. Just months later, in August 2016, President Dilma Rousseff of Brazil was impeached. Though the country was embroiled in a corruption scandal linked to a state-owned oil company, the legal reason for her impeachment was a narrow technical matter. In essence, she was found guilty of using accounting tricks to cover up the true state of public finances. The irregularities were first detected by a civil society organization, Contas Abertas, reviewing budget data made public under Brazil’s access to information laws and disclosed through its main transparency portals. Contas Abertas tipped off the audit court to the irregularities; the court opened an investigation and politics took its course. In this case, the information used was publicly available government data. Data – both big and open – is indeed changing the anti-corruption landscape, but do these episodes epitomize a game changer? First, the big: big data is characterized by volume (datasets are massive); velocity (data is produced frequently); and variety (data has many sources and formats). But there are often concerns over veracity, the accuracy of the data. There is a lot of data to go round - our actions, interactions and transactions produce 2.5 quintillion bytes of data every day. Propelled by the digital revolution, governments are increasingly contributing to this wealth of data on the machinery of government and the quality of public services. Using sophisticated algorithms to process subsets of this data, analysts can identify patterns and predict behavior. Next, the open: since the 1990s, governments have introduced freedom of information laws and web portals, granting citizens the right to request and access government information. Enacting data transparency laws, however, often takes courage from reform-minded governments and enforcing them is challenging, as information is power. While 70 countries have signed up for the global Open Government Partnership since 2011 and there are some examples of citizen-friendly open data tools, such as New York’s Checkbook NYC 2.0 to open up the city budget and Colombia’s Maparegalías to open up mining royalties, overall and globally, government data remains concealed: fewer than 10% of government datasets are in an open format, according to the Global Open Data Index. Data on public contracting, which is particularly vulnerable to corruption, is especially opaque: fewer than 10% of the 120 countries surveyed by the Open Contracting Partnership provide quality and timely data on tenders and awards. If data is open, and especially if it is big, it can be analysed to uncover, prevent and deter corruption. Data scientists are joining forces with anti-corruption activities to develop tech savvy applications and deploy powerful anti-corruption analytics. In India, the application I paid a bribe lets citizens report bribery and fraud in dealings with government officials. This platform helps confront what its founder, Swati Ramanathan, calls “retail corruption”: petty bureaucratic bribery that hurts the poorest the most. These are only reporting mechanisms, however, and they don’t provide redress. In Brazil, the Observatory for Public Expenditure tracks almost $5 trillion in spending made public in the government transparency portal. The observatory used analytics to reveal fraud in the country’s largest social welfare programme, Bolsa Familia, by comparing the list of beneficiaries to the federal car registry, identifying thousands of ineligible recipients. In Georgia, Transparency International launched an open-source public contracts portal. Extracting data from the government’s e-procurement website, it allows investigations into non-competitive contracts and other suspicious transactions. Similarly, in Colombia, the Transparency Secretariat of the Presidency has developed an app that allows citizens to report white elephants, which are incomplete or over-billed public works. By the end of 2015, it has identified 83 such white elephants at a total value of almost $500 million, which led to the initiation of criminal proceeding by law enforcement authorities. 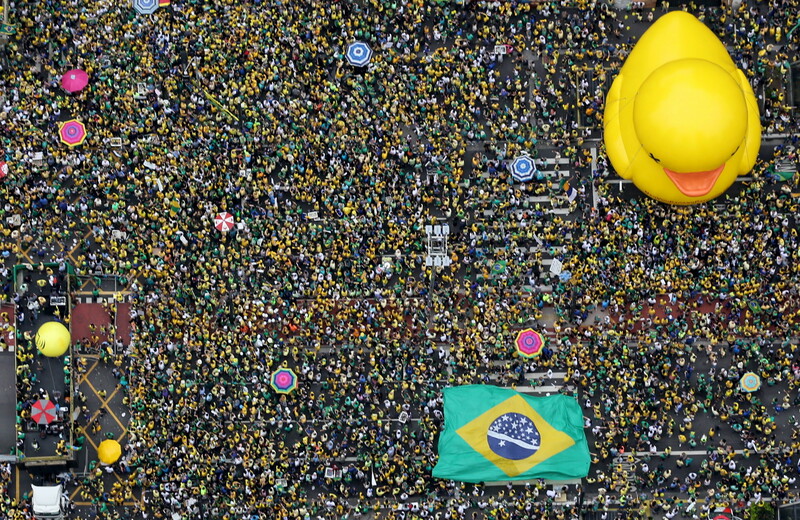 To be insightful, anti-corruption analytics requires good data and analytical capabilities. Analytics must be able to rely on good data – from official statistics to administrative registries – otherwise, it is “garbage in, garbage out.” This highlights the critical role of national statistics institutions. Effective analytics also requires strong in-house analytics capacity. Data scientists are in high demand and hard to attract to the public sector. Several countries and cities are establishing labs to attract data aficionados, leverage data and incubate innovation. To have an impact, anti-corruption analytics must be enmeshed with a country’s integrity system. It must be connected to complaint mechanisms and anti-corruption institutions in order to lead to prosecutions and generate corrective measures that can prevent corruption in the first place. Data analytics must also be integrated into the policy cycle to be meaningful – so as to ask data the right questions, feed back into policy-making, and enable anti-corruption reforms. While analytics augment a government’s capacity for oversight and insight, they cannot replace the intuition and foresight of experienced policy-makers. Anti-corruption analytics must themselves be transparent. Any tool requiring a highly specialized skill set is at risk of being captured by a select few, and big data is no exception. We must “make algorithms accountable”. Also, particular care must be given to minding the gaps in data – particularly when making decisions about areas with low internet penetration – to avoid reinforcing inequality. Corporate data – a largely neglected frontier in the transparency realm – must also be opened. The “data revolution is just starting”, according to John Doe, the whistle-blower behind the Panama Papers. It is altering the “corruption game”, reducing the government opacity and information asymmetries that often give rise to illegal practices. The Panama Papers hinted at just how much is hidden in the corporate world and how much harm that opacity can do. Projects like Open Corporates and Open Oil are attempting to shed some light, but there is still much more to be done. In this context, the platform of the World Economic Forum’s Partnering against Corruption Initiative on Building Foundations for Trust and Integrity can make an important contribution to foster innovative, digitally-enabled and data-driven solutions to mitigate risks, enhance transparency, and catalyse change in government-business relations. A version of this article appeared in the Stanford Social Innovation Review.